The project is located at the intersection of several important urban axes. The dynamism of the surrounding urban fabric was the subject of our formal investigations and inspired the geometry of the tower, podium and the residential buildings. The housing complex includes seven linear buildings and develops in two areas of the estate separated by a wide public pedestrian boulevard which visually and physically connects to the Citylife Park and the fore coming Hadid Tower. 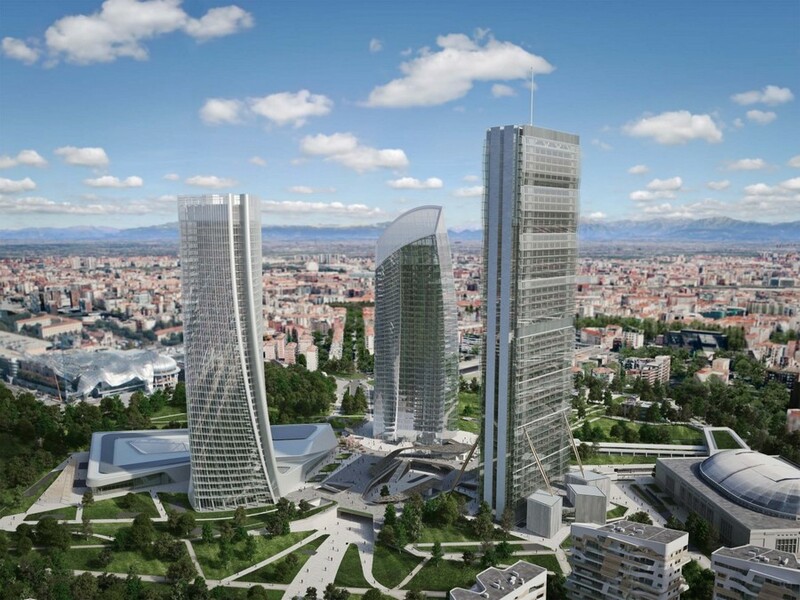 The sinuous profile of the rooflines, repeated over the entire complex, increasing in height from the five-floors building on Piazza Giulio Cesare, to the tallest, a 14 storey building, unify the seven buildings’ skyline and become a “fifth elevation” of the complex. The layout of the buildings determinates de facto a courtyard typology from which the duality of the relationship between the buildings and the surrounding urban fabric came. The facade facing out, where the living rooms are, have large windows and deep balconies to take advantage of views over the city and the future park. Wood cladding on the more protected interior facades facing the courtyard, the side with mostly bedrooms and kitchens, creates a feeling of domestic intimacy. The tower is at the centre of a vortex generated by a series of paths which converge in the park. 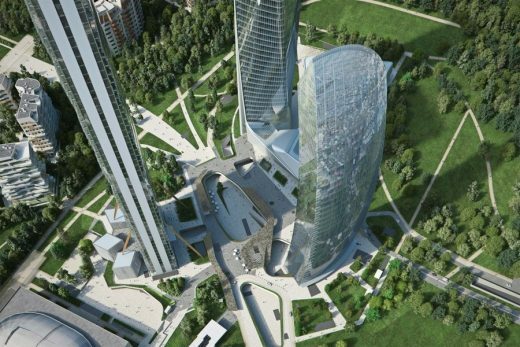 The curvilinear geometries of the tower’s podium, animated by these tensional forces, emerge from the ground where the pedestrian paths and retail gallery converge. This torsion is transferred throughout the tower – the real core of the vortex – transforming horizontal energy into vertical thrust. 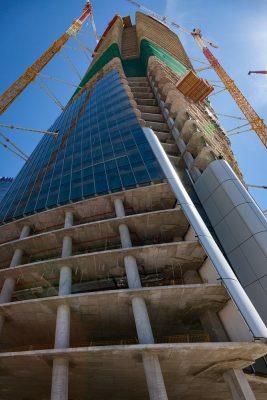 The tower is conceived as a stack of equivalent, economically efficient floor slabs that incrementally twist about a vertical axis. This incremental twisting is algorithmically controlled so that each floor does not have the same angle, but has a fractional, relational angle to the floors above and below, further developing the dynamism of the tower. 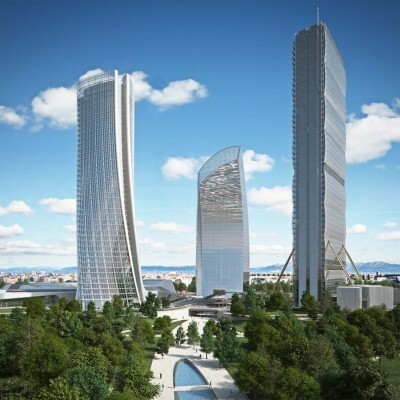 Yesterday the ceremony of the foundation casting of the Libeskind’s Tower took place in CityLife. 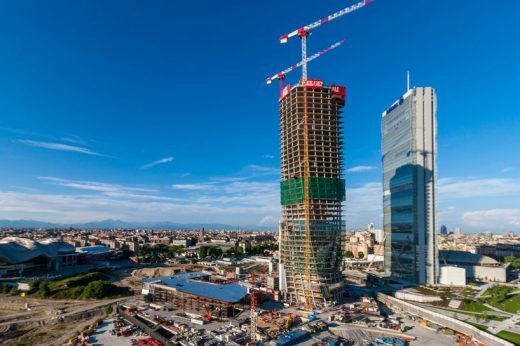 This is the third tower of CityLife, that together with Allianz Tower designed by Arata Isozaki and Generali Tower, designed by Zaha Hadid, will be part of the Business District of this new area in Milan. The CEO of CityLife Armando Borghi and the architect Daniel Libeskind posed inside the foundation cage the traditional cylinder containing the parchment with the signatures of all those who have collaborated on the development of the project. This important event, which marks another step forward in the CityLife development, took place at the presence of all the workers involved in the construction site. Armando Borghi thanked all the attendants and the architect: “The presence of the architect Libeskind over the years and his active participation in the various phases of the project that involved him, have made the CityLife area as an unicum in Milan.” The foundation casting of the tower will be carried out continuously for 34 consecutive hours, with start today at 5 p.m. and deadline on Sunday morning at 3 a.m.. 650 concrete trucks will arrive on site and will transfer about 6,000 cubic meters of concrete.